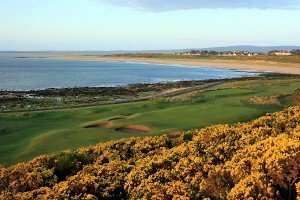 Excellent area to visit for classic Scottish Golf Links. The courses at Royal Dornoch, Nairn and Castle Stuart are amongst the most popular in the area; however Moray Old Links, Brora and several others are also very popular with the visiting golfers. 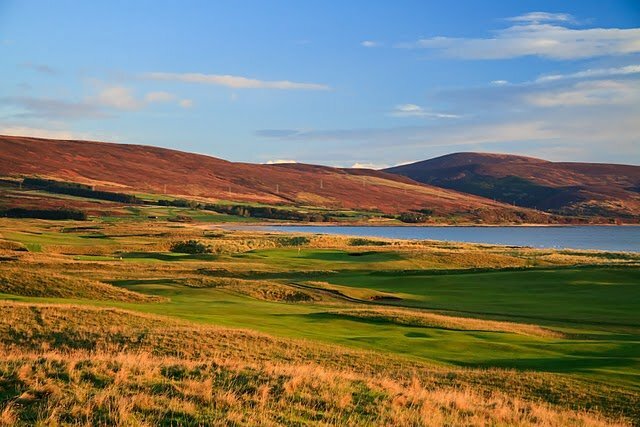 Known as ‘The Star of the North’, Royal Dornoch has a reputation for being a Mecca for golfers over the centuries since being created in 1877 by Old Tom Morris. Many people believe the par-3s to be the finest set in Britain. That may be too much praise, although certainly the 6th, set hard against a wall of gorse, is superb. Most of the holes run over undulating terrain and the 3rd, 5th and 17th are played off highly elevated tees with cracking views, but it is less quirky than a links with this much tradition might be, although there are plenty of lumps and bumps and tricky greens. It is tough, especially when the wind picks up, good fun, and it is a course that many rave over. Given a fair day, it is an experience to savour and one to add to your scrapbook. 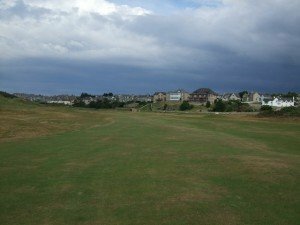 It is only in relatively recent times that Nairn Golf Club in Morayshire has enjoyed the recognition that this truly great links course deserves. For many years it has been something of a sleeping giant overshadowed by Royal Dornoch further to the north. 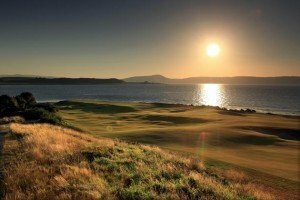 But a successful Amateur Championship in 1994 and a famous victory for Great Britain and Ireland in the 1999 Walker Cup matches put Nairn right on the golfing map where those who had already experienced its uncompromising challenge always knew it should be. Tom Simpson laid out the original course for the princely sum of £36 back in 1887 and Old Tom Morris made six pounds and ten shillings addition to it three years later. But the layout as it survives today owes most to the hand of the inimitable James Braid, the five-time Open Champion who refined and expanded the layout during three visits between 1910 and 1926. 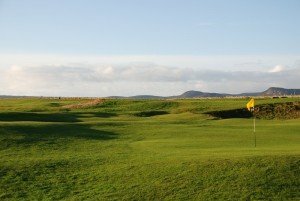 Overlooking the southern shores of the beautiful Moray Firth, Moray Golf Club in Lossiemouth offers two traditional Scottish golf links 18-hole courses, namely, Moray Old and Moray New. Both courses were created from a wilderness of high dense whins, heather and dunes, which over the years has tested the talents of both professionals and amateurs alike. 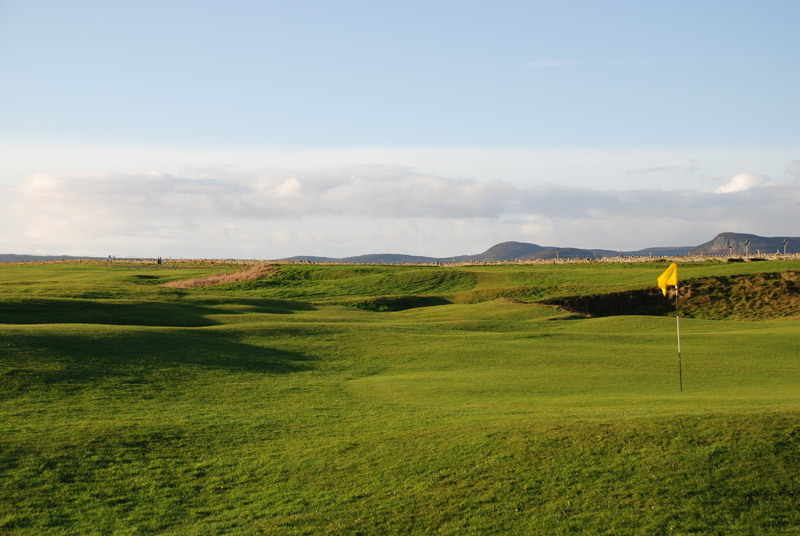 Moray Old is a real test of golf, with seven of its par 4’s stretching more than 400 yards. Every hole has been designed to challenge the lower handicap player. yet give pleasure to all who love the Royal and Ancient game. Founded in 1889, from a layout designed by Old Tom Morris, Moray Old’s history is somewhat similar to that of Royal Dornoch and Nairn. It is a gem of a links course, with gorse lined fairways, deep revetted bunkers and grass covered dunes along its boundaries. It’s fine links turf invites crisp iron shots to expertly maintained putting surfaces. The rolling links makes it easy going on the legs and there are a choice of tees to suit every calibre of golfer. It has often been said that there are two very good reasons to visit Brora in the north of Scotland. The first is the famous distillery that produces Clynelish Malt Whisky and the second the equally famous fishing tackle shop in the town. 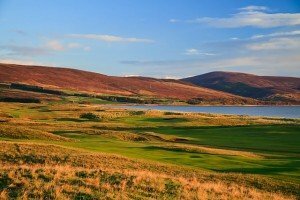 But there is a third, and some believe and even more compelling reason to venture into this rather remote part of Surtherland – the links of the Brora Golf Club. Apart from being a perfect base for tour of the Highlands of Scotland, Brora boasts one of the great hidden gems of Scottish golf. 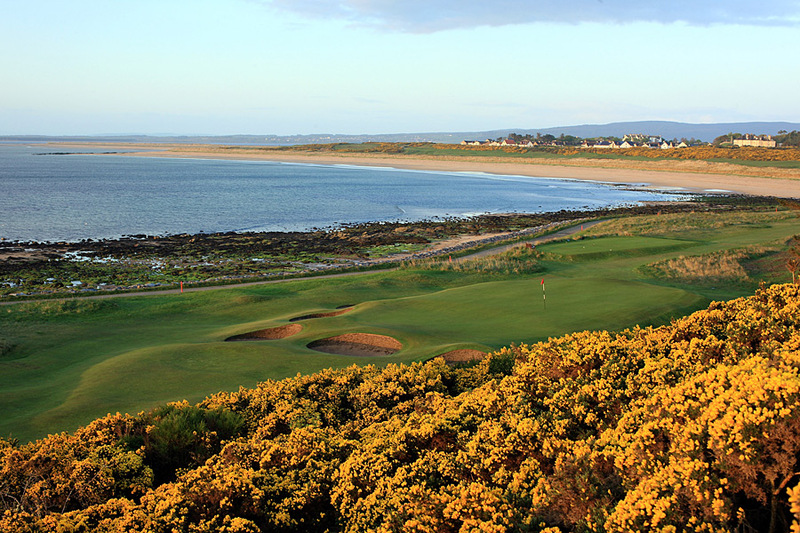 There are few places with more natural and traditional golf than this glorious spot north even of Royal Dornoch. Old Tom Morris laid out the original course in 1891 but James Braid was called in to upgrade the layout in the 1920s and the course remains very much as the five-time Open Champion left it. 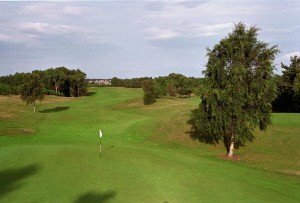 For over one hundred years golf has been played on this course which is a wonderful mix of links, heathland and parkland. The course has changed to a certain extent from the original design by James Braid, but he would still recognise his handiwork, including the tricky 6th and 7th greens. Ben Bhraggie provides a quite stunning backdrop to complement the ever changing views. 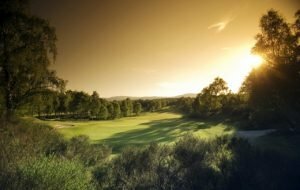 The course offers the experienced golfer a variety of shot making tests while the less proficient player will enjoy the chance to work on their game without challenges that are too difficult. Golspie is one of the archetypal hidden jewels of Scottish golf and it is unusual to find a dissenting voice when those who have played it are asked to endorse it. A warm welcome is assured in the clubhouse and the view from within is quite superb. 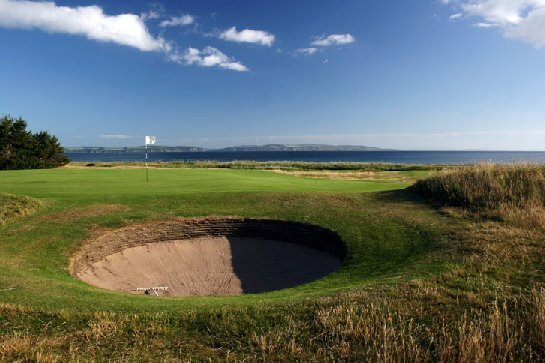 Situated on the shores of the Moray Firth, the Nairn Dunbar golf course, founded in 1899, is a highly rated Scottish links championship course representing a formidable challenge with its gorse and whin lined fairways. The course has hosted the Northern Open Professional Championship, the Scottish Ladies Amateur Stroke Play Championship, the Scottish Amateur Stroke Play Championship (qualifying rounds) and in 2002 the Seniors Home Internationals and the Scottish Open Amateur Mixed Tournaments. 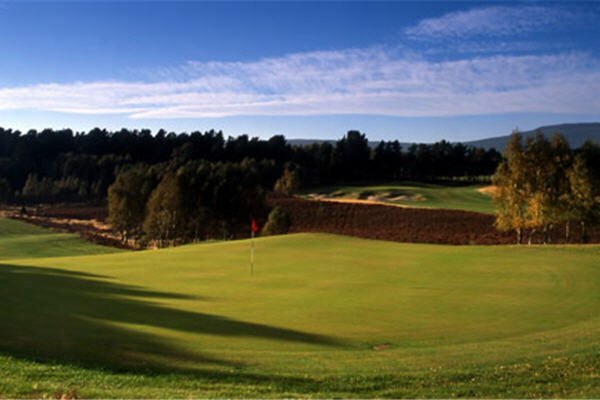 When it comes to golf in the Scottish Highlands, Boat of Garten should be first on every visitor’s itinerary. Designed by one of the grand-masters of golf course architecture, James Braid (1870-1950), “The Boat” is set alongside the River Spey in the heart of the Cairngorms National Park, only 10 minutes drive from the bustling village of Aviemore. The James Braid layout is not long by modern standards but it presents a stern enough test for anyone, with the 6th hole regarded as one of the best in Scotland. The original nine-hole layout dates back to 1898 and served the club well until Braid was brought in back in 1930 to upgrade the course to a full 18 holes. The course is not only renowned as a demanding test of sporting skill but also as a magnificent setting for the game. Braid’s design features 18 completely individual holes, cleverly and sensitively shaped fairways lined by birch trees, heather and broom, maximising the natural landscape and producing a beautiful and challenging course. A hundred species of wildlife wander the fairways. Deer have long since come to an amicable arrangement over sharing the fairways with golfers and the rare osprey can be seen here on occasions. 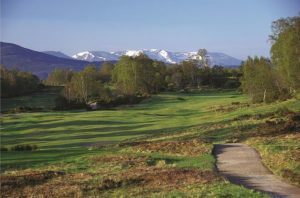 The new Spey Valley Golf Course in Aviemore forms part of the Macdonald Aviemore Highland Resort. 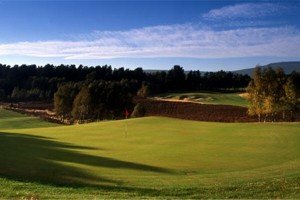 This championship golfing venue is a mixture of parkland and heathland, measuring 7,150 yards from the championship tees and is set to become one of Scotland’s premier golfing destinations undoubtedly to be among the top ranked courses within the UK.